A busboard probably designed for use with the A4000. 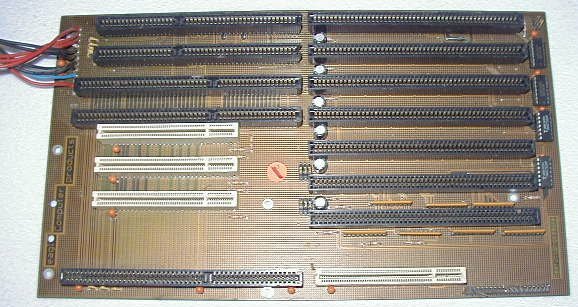 It may be possible to make the PCI slots active by using a bridgeboard such as the Mediator 4000 PCI. Unusually this board has a PCI and ISA slot inline with each other but is probably of no use.